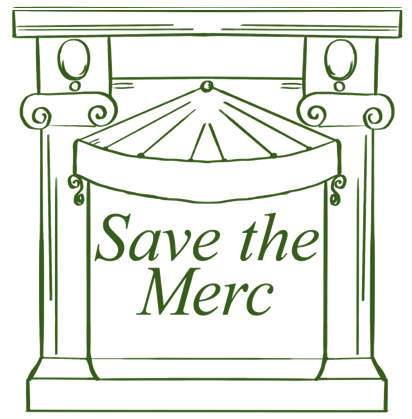 Save the Merc is a subcommittee of Preserve Historic Missoula. We are a group of individuals dedicated to the preservation and redevelopment of the Missoula Mercantile building. We would like to ensure the community has a role in determining the future of our downtown business district. Please sign and share our petition, like our Facebook page, and consider donating via Paypal or sending checks to 201 South 4th Street West, Missoula, MT 59801. The Missoula Mercantile is individually listed on the National Register of Historic Places. Preserve Historic Missoula has retained legal counsel for two reasons, to ensure that the City of Missoula follows the process and procedures spelled out in the city municipal codes, specifically the historic preservation ordinance, and to preserve the evidentiary record in the event that it becomes necessary to file a lawsuit in district court. The Missoula Mercantile has specific legal standing under the Missoula City Historic Preservation Ordinance. Preserve Historic Missoula is committed to following the legal process accorded by the listing on the National Register of Historic Places as spelled out in the municipal codes. Preserve Historic Missoula has raised and spent approximately $8,400 as of July 6, 2016. We initially retained the legal counsel of Ross Keogh and Amy Scott Smith, attorneys with Worden Thane, P.C. They were able to successfully work with us through the decision by the Historic Preservation Commission to deny the application for demolition. We have recently retained the legal counsel of Michael Doggett as we follow the process through the Missoula City Council. We estimate that the cost for legal counsel through the council process could cost $10,000. The Missoula ordinances spell out a specific process for the City Council to follow, including the concept of the presumption of correctness. This is basically a rule of law that means the City Council must consider the Historic Preservation Commission was correct in denying the application for demolition of the Mercantile. The burden for proving that the HPC erred lies with the developer and not City Council or Preserve Historic Missoula. The developer must cite the Findings of Fact as prepared by the HPC and presented to the City Council for the basis of their appeal. Should the City Council decide to over turn the HPC decision and approve the application for demolition, Preserve Historic Missoula will be ready with a temporary restraining order. The TRO will provide a small window to consider the next step, filing suit in district court to reverse the Council decision. It is possible that such a suit will cost $20,000 to $40,000. Preserve Historic Missoula will discuss a possible lawsuit with legal counsel when Council decides on the permit. If the decision is made to not pursue the lawsuit, we will refund monies to our donors with the understanding that legal fees must be paid in full. It may not be possible to return all monies to donors, but we will strive to return as much as we possibly can. The final legal bill will determine the amount and percent of funds which will be returned. If Preserve Historic Missoula decides to pursue legal remedy in district court, we will be asking members of our community and our supporters for additional funds.